It has been six months since I left Peru and the lessons are still sinking in. I vividly remember the journey to Paititi Institute, an impact center where I took my Shamanic Permaculture Design Course. A spine-chilling yet breathtaking drive through serpentine mountain roads with peaks of almost 5,000 meters. Majestic valleys, mountain lakes, and once in a while views of alpaca and women with long braids and colorful skirts. After the four hour drive, an intense hike downhill into the land awaits, not for the faint of heart. 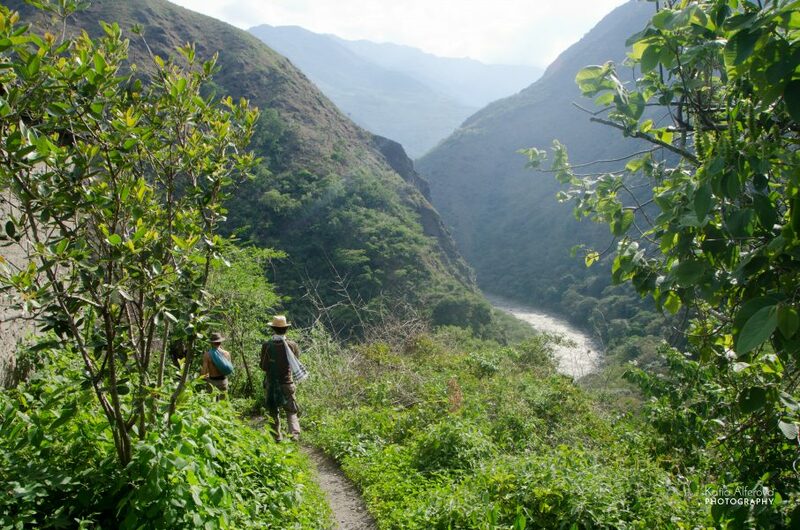 My group hiked under pouring rain and mist, traversing where the Andes meet the Amazon. In the distance, I could see little structures along the Mapacho River. This is where I spent 33 days learning about permaculture and indigenous wisdom while living in community. What does a day at Paititi look like? A mix of Qi Gong, hiking, permaculture class with the incredible Andrew Jones, hands-on natural building or working in the garden, and learning about medicinal plants. Some of the most inspiring moments were Roman Hanis’ talks. 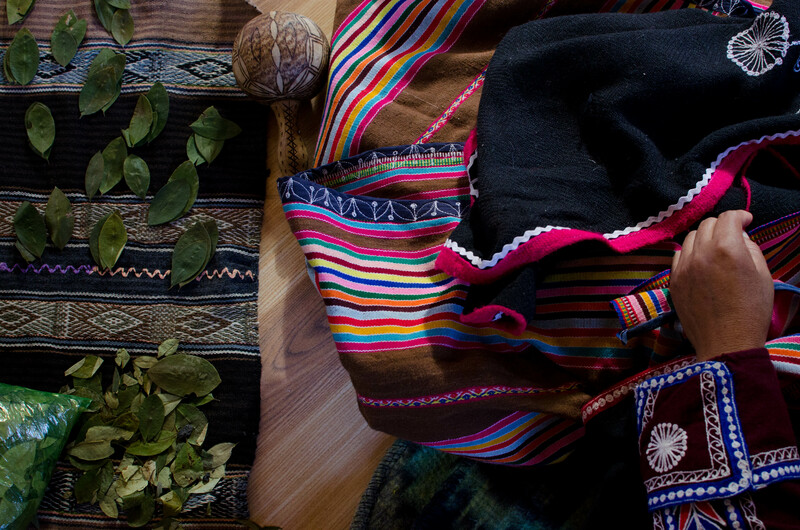 A Paititi co-founder, he has been working closely with the indigenous Peruvian cultures in the Amazonian rainforest and Andean mountains since 2001. After curing Crohn’s disease with medicinal plants, he was called to share his experience and knowledge with those ready to experience transformation. Raw, rustic, heart-centered, eye-opening and everything in between. Weaving inner and outer landscapes. An experience I’ll never forget. Here are some lessons I learned in the process. Taking the time to observe allowed to me actually understand what was happening in front of me. At Paititi, we had a daily “Sit Spot” where we simply sat and observed nature. River flowing, wind blowing, butterflies flying, clouds moving. Sit back, relax and observe.Then plan and act. This also happens to be the first permaculture principle. Permaculture taught me that we need to go beyond simply sustaining or maintaining. Depleted soil from monocrop plantations, deforestation, water scarcity, and erosion are some challenges we face today. A lot of these natural systems are in trouble. We can’t eat money and without water there is no life. The answer is regeneration. 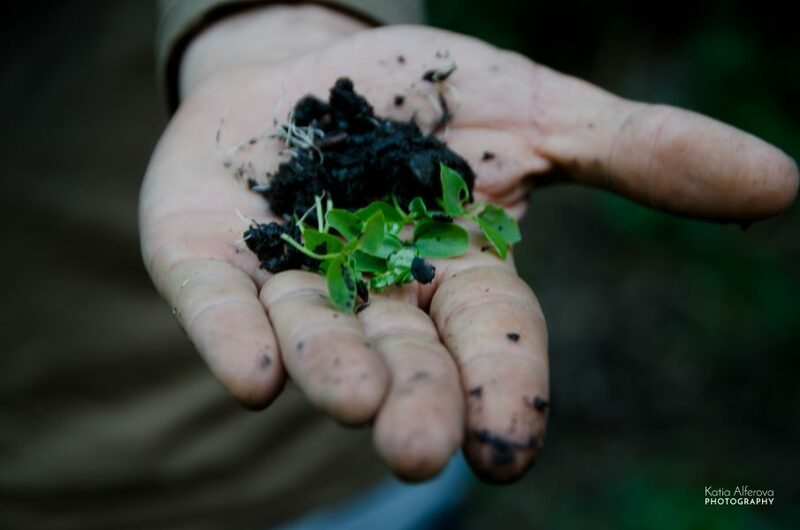 Regenerating depleted soil from years of human extractive practices and taking carbon out of the atmosphere and into the soil. Taking action and going beyond. Cynthia and Roman, incredible teachers and stewards of the 4,000 acre land in the Mapacho Valley. Imagine living off of only what you can fit in a backpack and carry across a mountain. Without a car-accessible road for Paititi, all the food we ate during the course was either grown onsite or taken in by mules. Chocolate craving from your tent at midnight? There is not much you can do (unless there are cacao trees!). I am used to having a plethora of options… small or large, sweet or spicy, blue or red, you name it. We have too many choices. Living in the mountains taught me to value simple things, share the little you may have with others, and embrace discomforts. 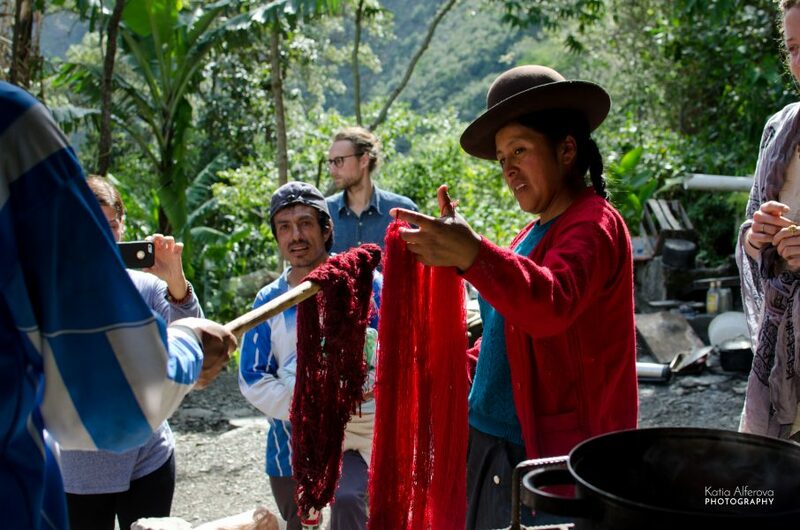 Hilaria is teaching us how to naturally dye alpaca with native plants. Relax with whatever situation you may find yourself in. The good, the bad, the ugly. Take it all in and breathe. I learned the hard way with the vicious mosquitos and gnats of the sub-tropical jungle. I felt like the sensations of itchiness and rage would never end. Clay, citronella, creams — nothing seemed to work, until I realised the power of the mind. As soon as I changed my attitude about the situation, I felt better immediately. We even listened to Pema Chodron’s talk on about the conditioned mind and not “scratching the itch.” Some of the best breakthroughs happen when you don’t want to be doing what you’re doing. Ayni is the Quechua concept of reciprocity, or the mutual flow of giving and receiving. This applies to relationships we may have with other people, but it is also practiced in light of our relationship with the Earth. Nature provides so much, what do we give in return? I realized that gifting without expecting anything in return has a huge impact. Gift from the heart and you shall receive more than you ever dreamed possible. 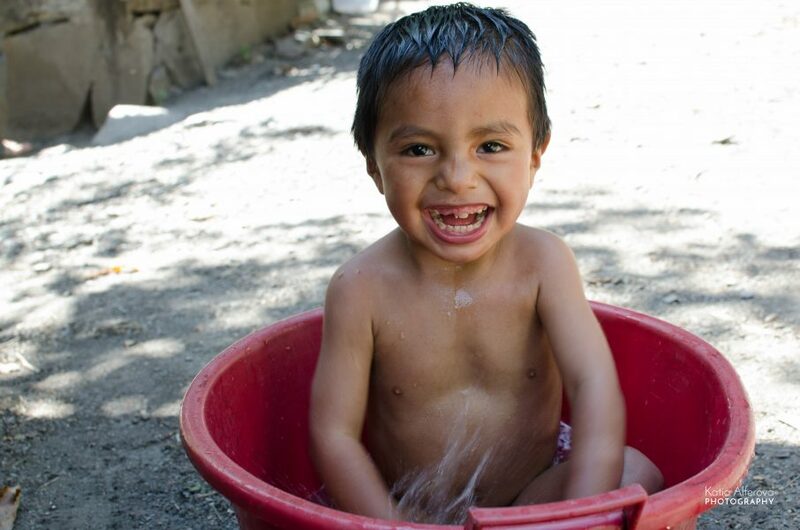 Rodrigo made me smile every day at Paititi Institute. The path of liberation is not about going up — it’s about going down. Courageously facing your suffering, challenges and fears. Transcending it by voluntarily going through it. The first few days I was afraid of climbing the mountain we were on at night alone… the mind can take you places. After a few night hikes I understood that it was the same mountain, just my perception of it was different. Once I faced my fears a few times, I felt stronger. 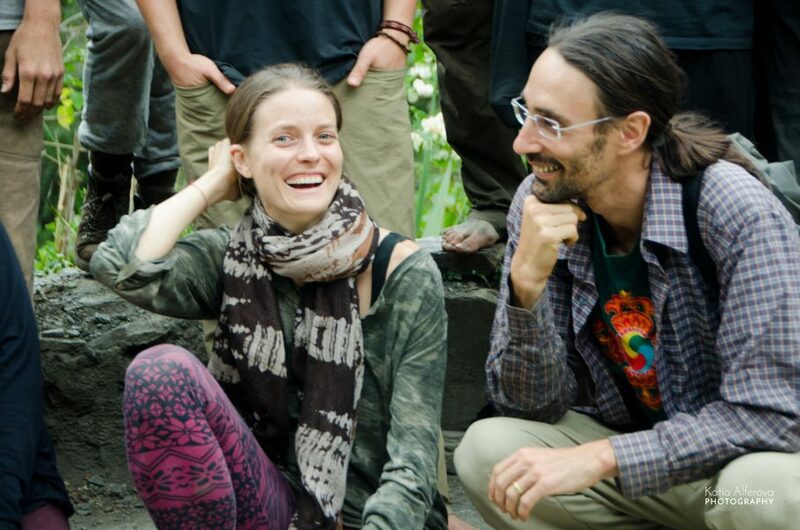 What I most appreciated about my time at Paititi was the unique approach — blending ancestral wisdom and shamanic practices with permaculture, systems design and ecology. Blending inner and outer landscapes came up quite a bit. It all makes sense: how can we heal the Earth if we don’t heal ourselves first? The teachings, mindfulness practices and medicinal plants are the first step: inner transformation. Once I felt the click within, I was ready to apply it on the ground and in action. Deconditioning and cultivating heart-centered presence. 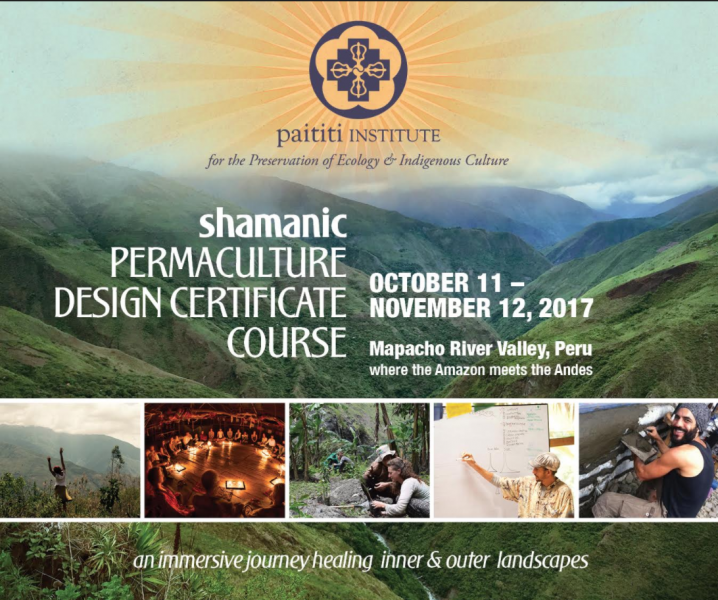 I highly recommend this unique permaculture design course (PDC) that blends indigenous wisdom where the Andes meet the jungle in Peru this October 11 – November 12. Are you ready to take the journey?